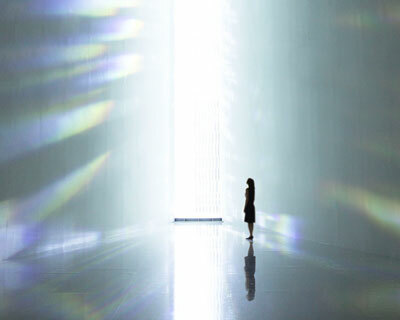 tokujin yoshioka is a japanese artist and designer. many of his works are part of the permanent collections of globally recognized museums, including the museum of modern art and the cooper hewitt national design museum in new york. 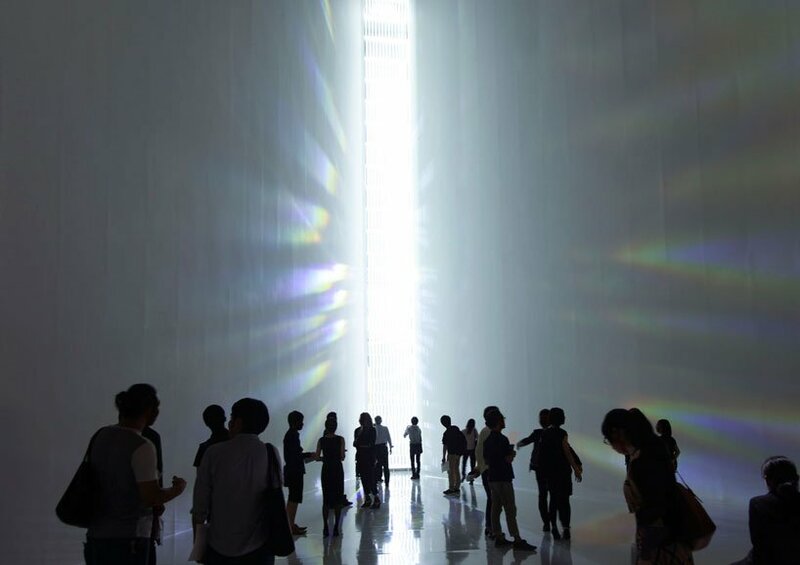 japanese artist and designer tokujin yoshioka is presenting his largest solo exhibition to date at the museum of contemporary art tokyo. 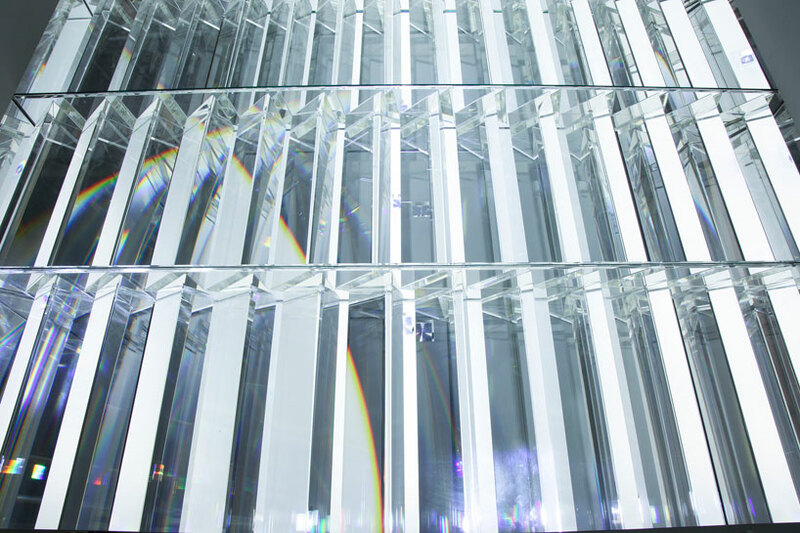 ‘tokujin yoshioka_crystallize’ showcases a collection of retrospective artworks that document the evolution of his creative exploration, as well as new works that emphasize his dedication to the crystal medium. 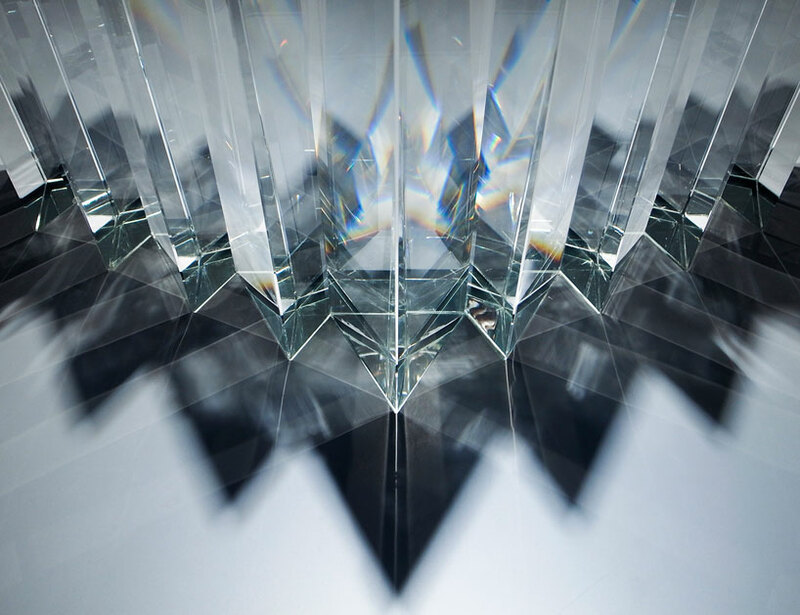 throughout his career, yoshioka has experimented with this material, particularly the formation of natural structures that are composed through a crystallization process. yoshioka adopts the practice for a variety of sculptural media and installation work, which includes furniture such as ‘spider’s thread’, a seven-stranded chair suspended in the air created by crystals growing onto seven fine threads (see designboom’s coverage of the crystallized piece, here). the renowned ‘rainbow church’ is at the main atrium space of the exhibition. 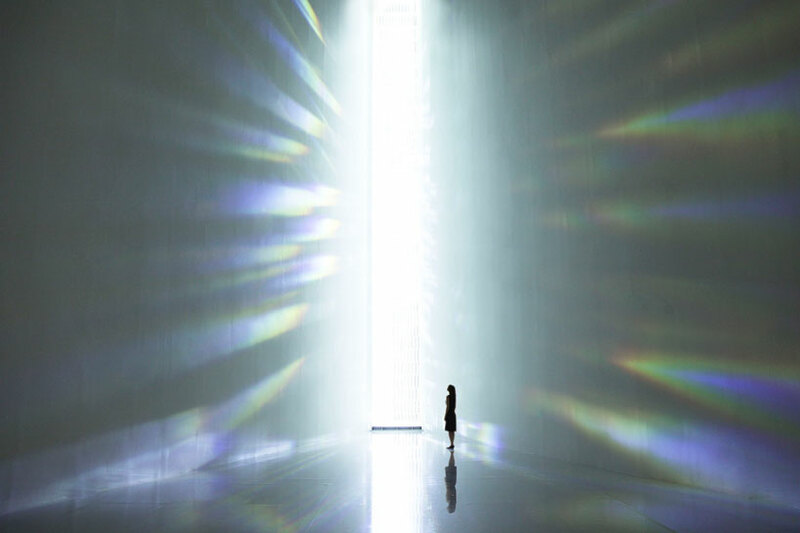 the re-conceived installation stands at 12 meters high — a towering, immersive architectural work composed of 500 crystal prisms that convert natural rays of light into rainbow colors, filling the interior with an overwhelming luminous chroma. 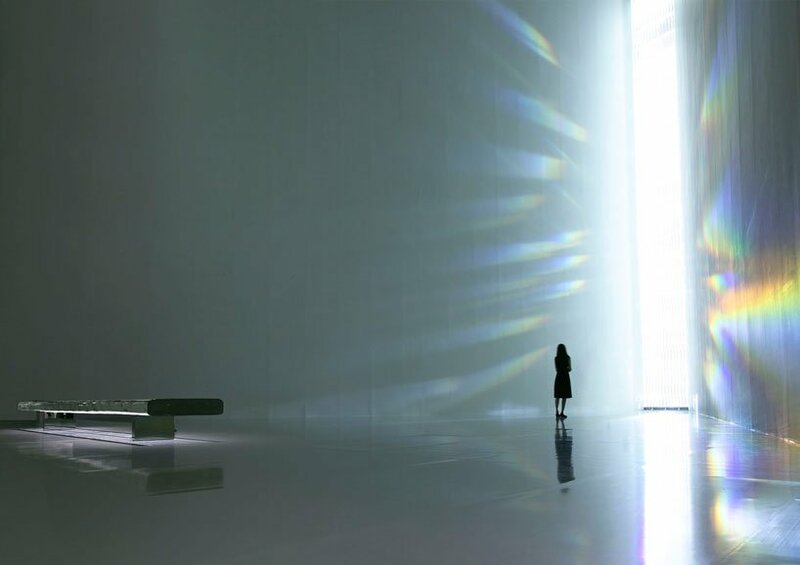 following a visit to the rosaire chapel designed by henri matisse, yoshioka was driven to build a structure which could mirror the kaleidoscopic visuals that surround the inside of the church as outside light filters through. 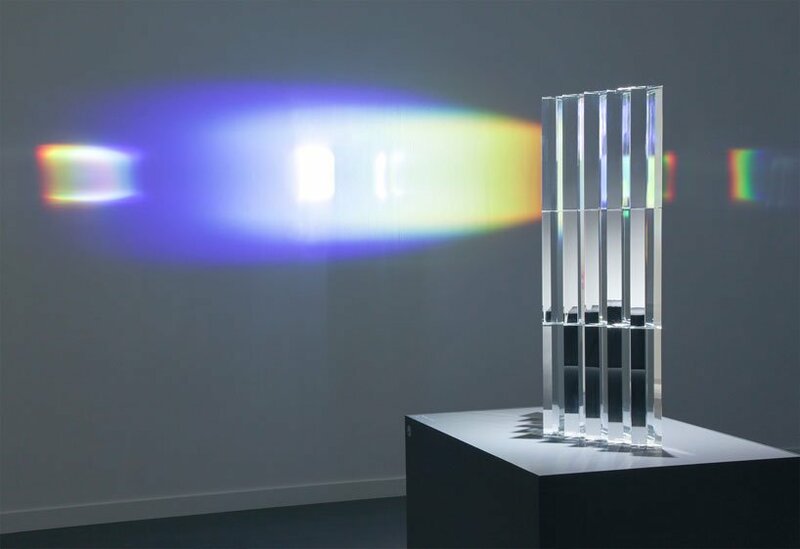 ‘ray of light’ is a solid and transparent sculpture made by crystal prisms, which emits an aura of rainbow light. 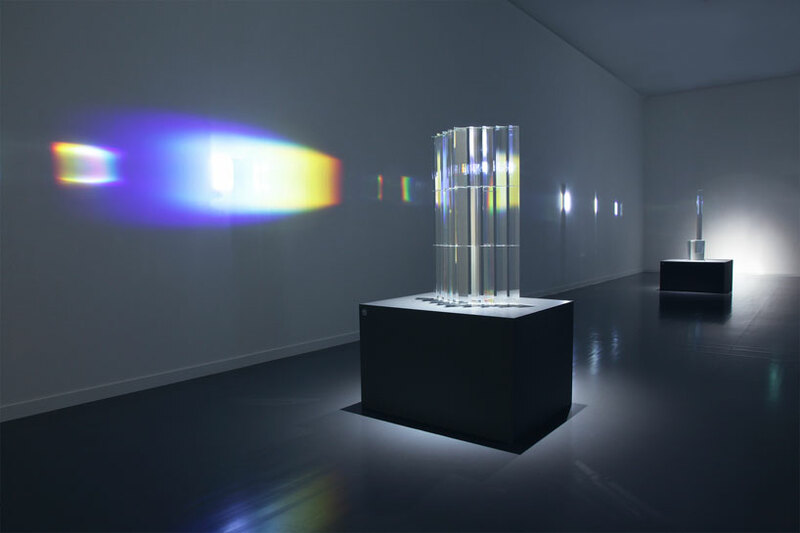 the luminous structure reveals radiant beams of color as light filters through, which is translated throughout the interior gallery walls. that should be a surreal experience… simply amazing!.. Would enjoy seeing in person.